Click on the Profile & Security menu and then click on Password & Security. Select Edit to the right of the section that you wish to change. You can also select Change Username or Change Password from the sidebar menu. Once the code has been accepted, you will be able to update your profile information. Click Save when finished. Please visit AskRCU if you have further questions. Why do I have to provide personal information when I sign up for RCU Online Banking? 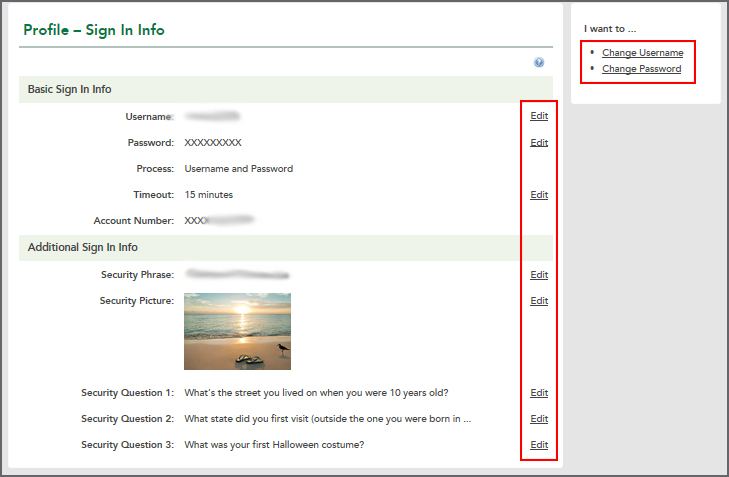 Can I create my own online banking security questions? Tips for creating a strong password.